So that's who she is. I've seen and shot her on several occasions but never got to really talking to her. Thanks for the information. 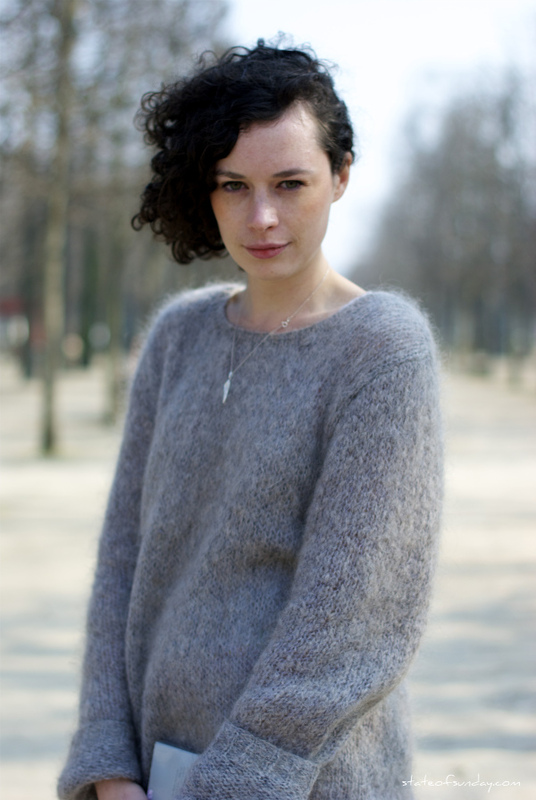 I'm in love with that sweater, the mohair/fuzziness, the grey, the simple shape, gorgeous!